Paul Alexander is the accomplished author of eight books, numerous eBooks, and over 100 major articles written for publications ranging from Rolling Stone to the New York Times. When he stumbled across my blogging on the Curtis Flowers story, he was immediately interested. A native of Birmingham, AL, Alexander knows how racial bias is infused into every facet of social life, including the criminal justice system. Still, my conclusions were too damning to be taken at face value. Alexander visited Winona, Mississippi, re-interviewed the folks I talked to several years ago, and dug up some fascinating (and disturbing) new information. The result is Mistried, a gripping eBook released yesterday by RosettaBooks. You can get the Kindle version for free at Amazon if you act quickly, (or pay $2.99 if you dawdle). Most readers can digest the contents in less than two hours; the book is of very modest length because Alexander doesn’t waste a word. If you like the book, please leave a comment and a five-star rating on the Amazon site. Can a person be tried more than once for the same crime in the United States? Under usual circumstances, no. But in Mississippi, one man was tried six times for the same brutal crime-and his ordeal still hasn’t ended. One July morning in 1996, three people were discovered dead and one at death’s door in a furniture store in Winona, Mississippi. Three of the victims were white-including the store owner. That same day, a black man, Curtis Flowers, was identified as the prime suspect. Flowers had worked at the store for three days and had quit under questionable circumstances. But almost no substantive evidence linked him to the crime. A devout Christian and gospel singer, Flowers had no prior criminal record and the barest of motives. Caught between a relentless Mississippi prosecutor and the fury of both African-American and white communities in his town, Flowers has endured six separate trials over more than a decade in a case that remains undecided. Paul Alexander is the author of the bestselling true crime titles Homicidal, Murdered, and Accused. In this painstakingly researched and masterfully-written account, he exposes the ugly racial divides running beneath the surface of a sleepy Southern town-and raises troubling questions about America’s criminal justice system, particularly in the Deep South. New York, NY – June 12, 2013 – From the author who brought you the best-selling true-crime titles Murdered, Accused and Homicidal, Paul Alexander now adds a fourth title to his True Crime Collection. In this painstakingly researched and masterfully-written account, Mistried exposes the ugly racial divides running beneath the surface of a sleepy Southern town—and raises troubling questions about America’s criminal justice system, particularly in the Deep South. Caught between a relentless Mississippi prosecutor and the fury of both African-American and white communities in his town, Curtis Flowers has endured six separate trials over more than a decade in a case that remains undecided. “Mistried is another true crime story from Paul Alexander that combines gripping pace with gritty literary style, leading readers to think twice about high-profile cases and the evidence that is presented,” said Arthur Klebanoff, CEO of RosettaBooks. In July 1996, three people were discovered dead in a furniture store in Winona, Mississippi, and a fourth victim died several days later. Three of the victims were white — including the store owner. That same day, a black man, Curtis Flowers, was identified as the prime suspect. Flowers had worked at the store for three days and had quit under questionable circumstances. But almost no substantive evidence linked him to the crime. A devout Christian and gospel singer, Flowers had no prior criminal record and the barest of motives. Paul Alexander’s career as a journalist spans decades with articles appearing in several publications including The New York Times and Rolling Stone. He has published eight acclaimed books about the lives and careers of prominent people including James Dean, J.D. Salinger, John McCain, Karl Rove, and Sylvia Plath. 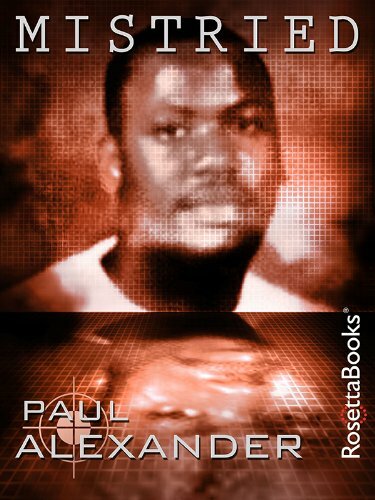 For more information, visit his website www.paulalexanderbooks.com. Titles in The Paul Alexander True Crime Collection, including Mistried, are available exclusively at Amazon Kindle for $2.99. RosettaBooks is the leading independent eBook publisher, responsible for such timeless classics as Brave New World, Slaughterhouse-Five, The 7 Habits of Highly Effective People, and the complete works of Winston Churchill. Publisher of ten Kindle Singles, including Ray Bradbury’s The Playground, RosettaBooks has launched nine of them to bestseller status. For more information, please visit RosettaBooks.com and follow the e-publisher on Facebook and Twitter. It is a good story told succinctly. I had the feeling I was rereading the story. I was, I had seen almost all of it on this blog. I hope it helps persuade the SC of Mississippi to overturn the verdict of trial #6.